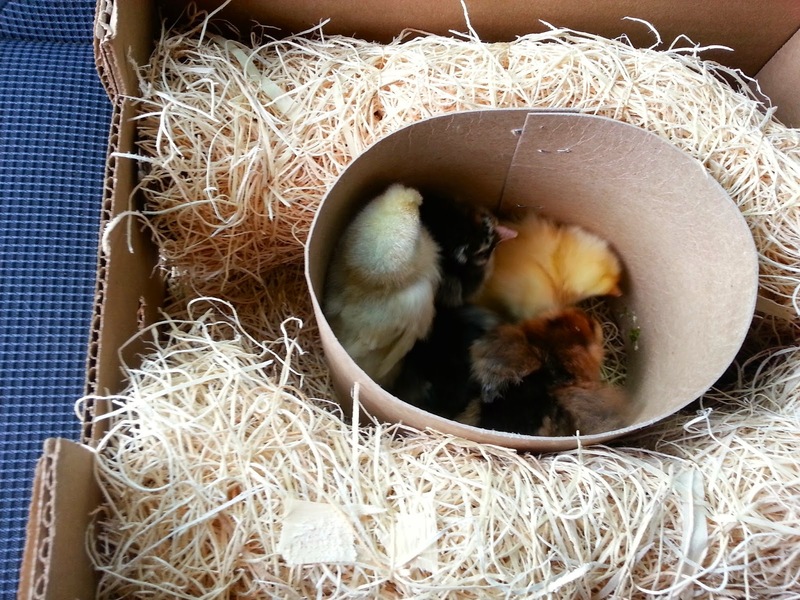 On Monday, I drove to Waterloo, Wis. to pick up five chicks. I found myself getting nervous - would they be warm enough, did we have a good brooder for them, would they all live? 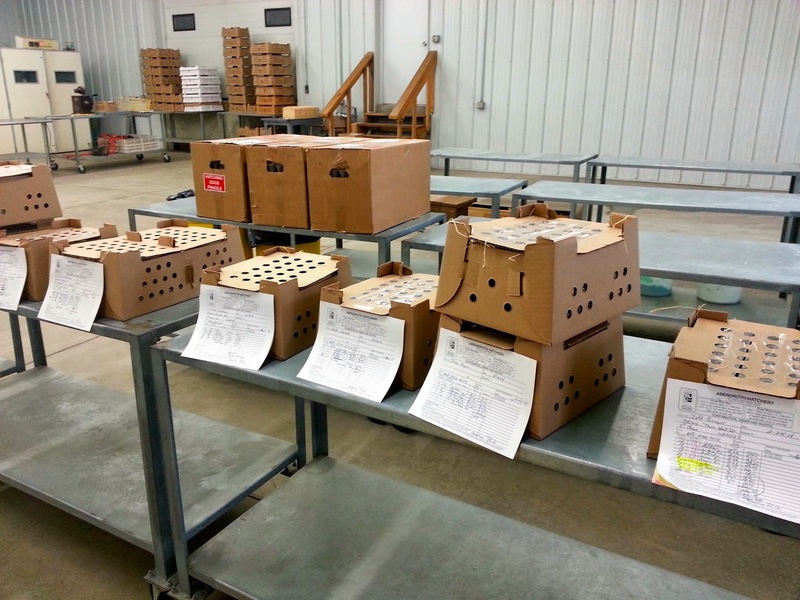 When I arrived, I first saw a counter with little cartons and the sound of cheeping chicks filled the room. There were several people in line before me, so I scanned the boxes and found ours. 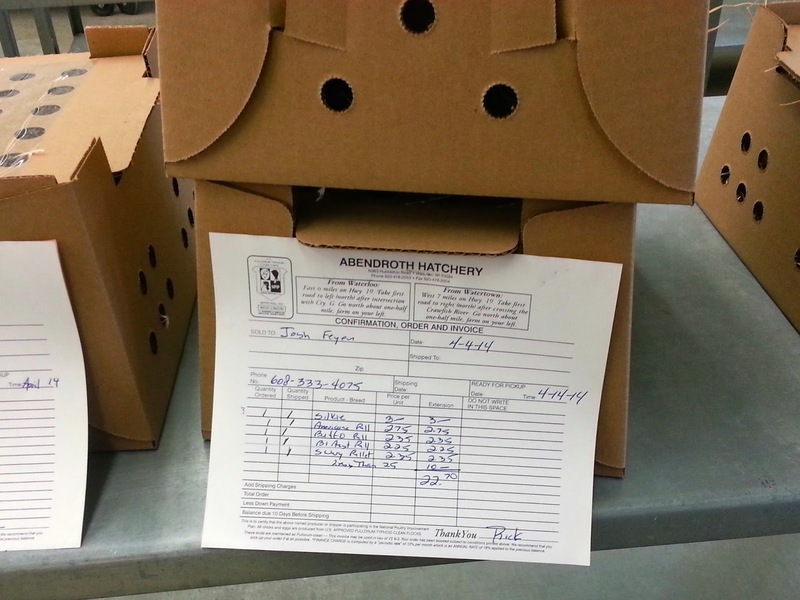 We recently learned that the hatchery can't gender identify the silkies because they are so small. So on Sunday, Jay, Matt and Marissa and I decided to ask if they had another silkie. Unfortunately, they were all sold. While I was waiting I looked around. 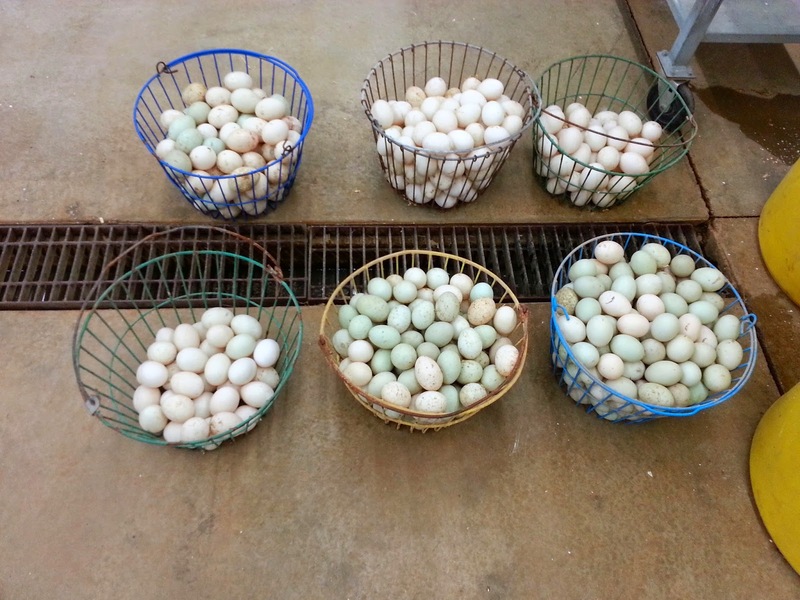 I spotted these baskets of eggs, I'm guessing the next batch for the incubator. 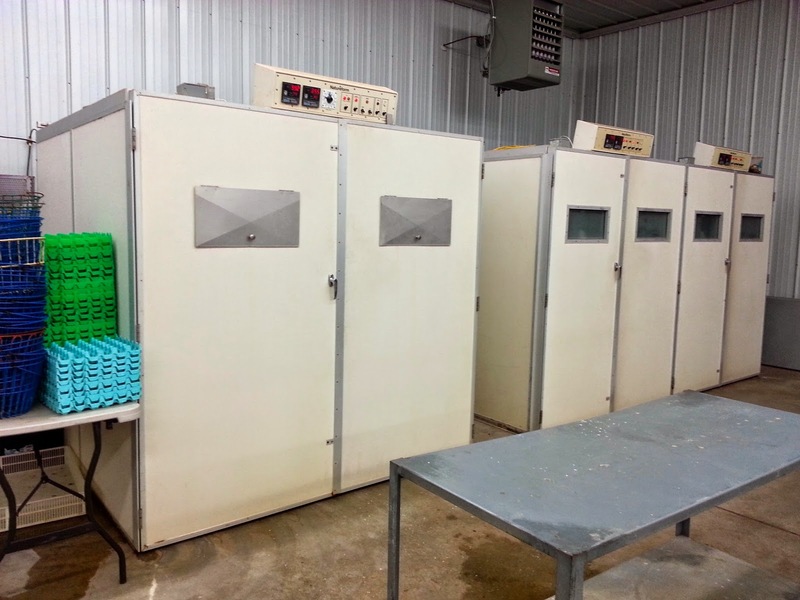 Just like in the movie Mad City Chickens, I spotted the warm incubators that rotated fertilized eggs and kept them at just the right temperature. I paid for the birds and scurried out to my car. It was COLD and I didn't want them to get a chill. As soon as I got in my car and started it up to get the heat going, I opened the box. Inside were five fluffy cotton balls cheeping away. The chicks are now in our brooder, a large plastic bin in our garage. Matt and Marissa have a key to get in, and I'm sure we'll all be paying many visits to ooh and ahh. They really are that cute. Our instructions are not to handle them the first day, but then to start having them eat our of our hands and pick them up to have the imprint on us.